1. Boil the potatoes, until done. Cool and peel. 2. Add salt, pepper, oil and flour. then mash and adjust the seasoning to taste. 3. Make into small patties. Then pierce two holes with the straw to make eyes. 5. Now fry and enjoy with your favourite dip! Always adjust seasoning to your taste. 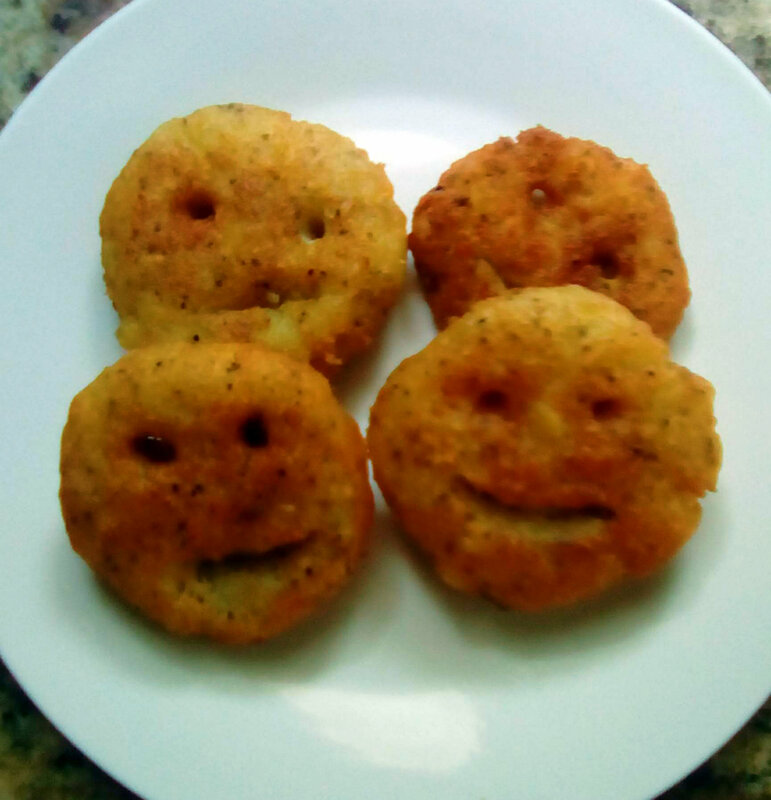 Do not use air fryer the smilies will loose their shape. Can be freezed after making the smiley face, just take out and fry when needed.